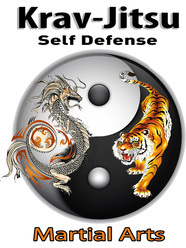 KRAV-JITSU (Weekly Self Defense Class) Real Self Defense for Kids and Adults! Learn year round in a fun and friendly environment with two instructors (female & male) with over 20 years of experience teaching kids & adults. Both have multiple black belts, gold medals and have been chosen to teach street safety/self defense in high schools, corporate and government agencies. Much more than a traditional martial arts class, kids, men and women will learn the most current techniques and tactics to prevent an attack or defend yourself. Realistic street proofing and environmental training (in a park, a car, outside, etc.). Classes feature Self defense for kids and adults that does not rely on size or strength and will work for all physical ability! Combining the very best of multiple arts (Krav Maga, Japanese / Brazilian jujitsu, Karate, Judo, etc. ), students will learn the most effective self defense techniques. In-Takes (All Locations): Join at any time throughout the year (class size permitting). If mid-season, your cost will be adjusted for the number of classes remaining. On-going registration. No sign-up fees or contracts! Classes are paid monthly. Choose your preferred day(s) of the Week. Starting: Only $40/month (tax included). Ages 8-18yr. 1 Class/week. Starting: Only $60/month (tax included). Ages 19yr +. 1 Class/week. Facility: Open matted floor with lots of space, equipment, mirrors and natural light. Washroom for changing and water fountain. Parking: Lots of Free parking. Uniform: A training uniform is required for Richmond home studio classes. 2251 Number 5 Rd. Richmond, BC (only 12min. 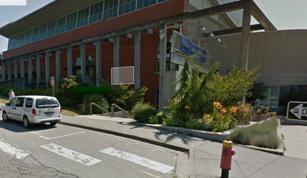 from Langara College). 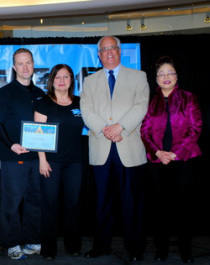 WATER MANIA PAVILION - RICHMOND "KRAV-JITSU"
On-going Registration (cost pro-rated if mid season). Registration with the City is Separate For Monday and Wednesday Classes. Sessions are different information. Facility: Large open floor with lots of space and natural light (2nd floor). 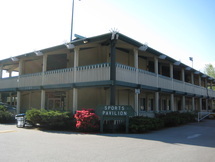 Parking: Free parking next to the Sports Pavilion and Minoru track. WINTER (JAN. 14 - MARCH. 11, 2014). Ongoing registration (cost pro-rated). UBC RECREATION & FITNESS BUILDING "Krav Maga Self Defense"
Open to UBC students, Staff and General Public! Pick Monday, Wednesday OR Both (Registration is Separate For Monday and Wednesday Classes). Information is different each class. 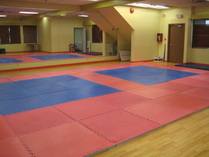 Facility: Large professionally matted Dojo with lots of space, mirrors, etc.